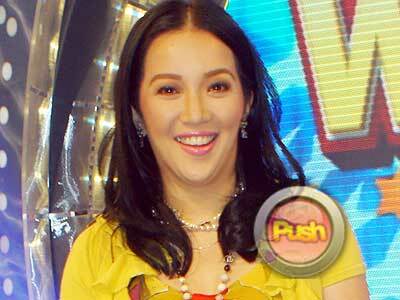 The actress-host said that she was asked to leave Pilipinas Win na Win to make way for new male hosts. Kris Aquino said on her Twitter account, Tuesday (September 28), that she will be leaving Pilipinas Win na Winwith Friday, October 1, being her last day on the job. 'nbsp; "Friday is my last day on Win na Win. It was a good work and learning experience for me, but it's time to go. Shooting some commercials in the next few weeks but Dalaw script still going thru revisions so I'm gonna give myself some time to de-stress, de-compress and0 pray. Doing my version of Eat Pray Love, mine is Exercise Pray Heal." An hour later, the Queen of All Media made another post to clarify that leaving Pilipinas Win na Win was not her initiative. Her post said, "May I just clarify- I didn't resign or quit. I was asked to leave Win to make room for new male hosts. I'm honest 'amp; humble enough to not lie about the true situation." Following this development, there have been rumors circulating that the show will be terminated to give way to the new season of Kapamilya Deal or No Deal, which Kris will still host, like in the previous seasons. ABS-CBN is also showing the teaser of the said game show but as of press time, there are no specific details yet as to when it will start airing. Meantime, Kris also posted last Monday, September 27, that she has finally recovered from an illness that included fever and body aches which made her bed-ridden for four straight days. Kris added she is busy reading about world religions and is planning to take classes next year about World History, World Religions and Geography.